Oxidative stress is proposed as a molecular mechanism in lead toxicity, which suggests that antioxidants might play a role in the treatment of lead poisoning. 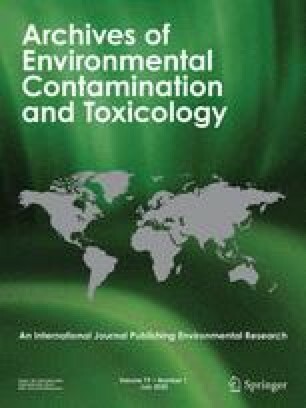 The present study was designed to investigate whether taurine has a beneficial effect both on Chinese hamster ovary (CHO) cells and on Fisher 344 (F344) rats following lead exposure. Therefore, oxidative stress parameters (glutathione, malondialdehyde levels, catalase, and glucose-6-phosphate dehydrogenase [G6PD] activities) of lead-exposed CHO cells and F344 rats were determined following taurine treatment. Taurine was found to be effective in (1) increasing glutathione levels that had been diminished by lead; (2) reducing malondialdehyde levels, an end-product of lipid peroxidation; (3) decreasing catalase and erythrocyte G6PD activity, which had been increased by lead exposure; and (4) improving cell survival of CHO cells. However, taurine had no effect on blood and tissue lead levels when 1.1 g/kg/day taurine was administered to F344 rats for 7 days, following 5 weeks of lead exposure (2,000 ppm lead acetate). As a result, taurine seems to be capable of fortifying cells against lead-induced oxidative attack without decreasing lead levels. Therefore, administration of taurine, accompanied by a chelating agent, might increase its effectiveness in the treatment of lead poisoning.